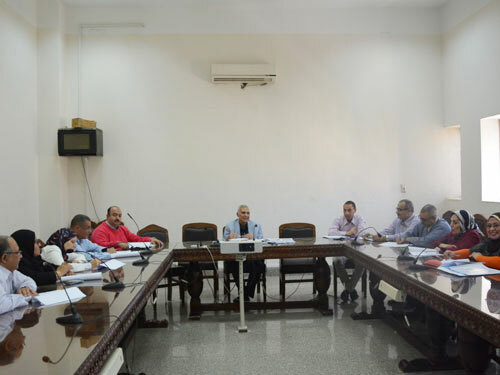 Prof. Mohamed Essa, Vice President of Fayoum University for Postgraduate Studies and Research Affairs, witnessed on Monday 5/11/2018 the first meeting of the Committee that is responsible forethics of care and use of animals in education and scientific research. Prof. Mohamed Essa saidthat the meeting discussed the tasks of the Committee which was formed by the decision of the University Council that was held on 26/9/2018 in its session No. 152. The committee is headed by Prof. ZaherAhmed EmeritusProfessor in the Department of Biochemistry, Faculty of Agriculture. In addition to the membership of the following members: Prof. Sawsan Abd El-Aziz EmeritusProfessor in the Department of Pharmacology, Faculty of Medicine, Dr. Abd El-Kareem Mohammed Assistant Professor in the Department of Zoology, Faculty of Science,Dr. Mona Mohammed Assistant Professor in theDepartment of Pharmacology and Toxicology, Faculty of Pharmacy, Dr. BothainaYousef Assistant Professor in the Department of Poultry Production and Dr. Abd El-MoneamSadek Assistant Professor in the Department of Biochemistry, Faculty of Agriculture,Dr. Khaled Ramadan Lecturer in the Department of Home Economics, Faculty of Specific Education, Dr.SafaaNady Director of the Regional Station of Central Egypt and Director of Animal Production Research Station at the Center for Agricultural Research, Dr. Osama Farouk Director of Food Inspection Administration in the University Hostels, Dr. AmrSayed Environmental Researcher in the Environmental Affairs Agency in Fayoum and Mrs. Nehal Abd El-Rahman, Senior Education Specialist at Fayoum University. 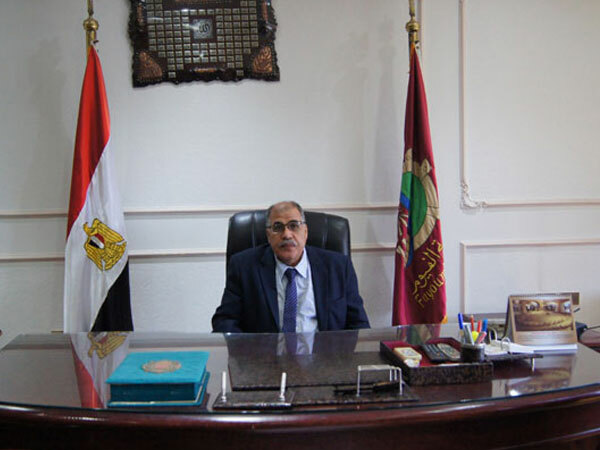 Prof. Zaher Ahmed said that the meeting discussed the preparation of a workshop for members of the Committee and representatives of the faculties who are concerned with how to deal with experimental animals.In addition to reviewing the protocol of cooperation between the committee with Its counterpartin Cairo University.